You want your home to be personal, distinctive, and fabulous. Here’s how. When a young couple, both doctors, purchased a 1920s Spanish-style house on Lake Minnetonka, they knew this was a special property. Its lovely bone structure, gracious rooms, original clay tile, and old-growth oak flooring—all in perfect condition—drew them in. Yet they wanted to make the house into a home that fit their modern lifestyle and growing family. Another complication: They have wildly different design aesthetics—she prefers contemporary; he loves a heavier, gothic look. Fortuitously, they connected with Wayzata-based Historic Studio. Founder Robb Whittlef, who spends half his time in California, and lead designer Jasmine Keller know how to balance modern cool with antique soul—the look so well mastered in California. Whittlef also connected the couple with Jeff Murphy of Murphy and Co. Design, who developed a plan that would double the size of the original house. 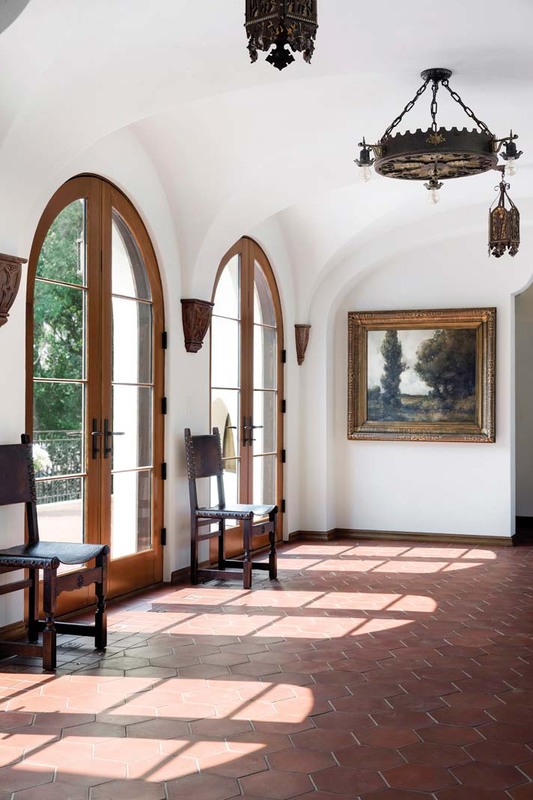 While Murphy stitched the old and new parts of the house together with a Spanish-inspired, arched colonnade, Historic masterfully balanced the couple’s interior-design preferences. 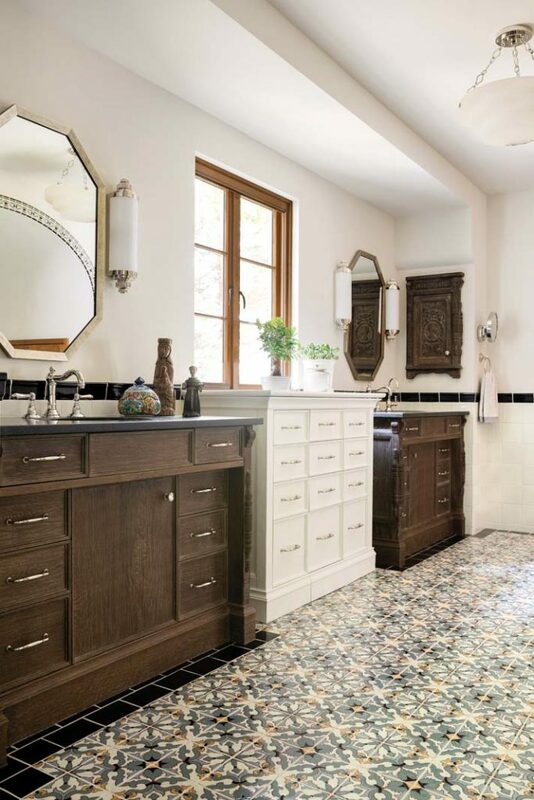 Vintage light fixtures throughout, old-growth timber flooring for the addition, clay tile replicated by Batchelder Tile to match the original, and antique Spanish cabinets in the master bath. 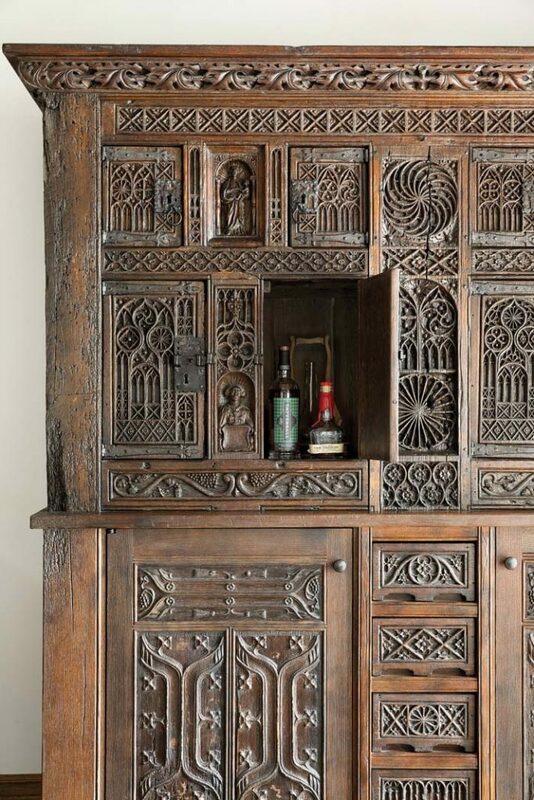 The showstopper: The three-century-old cabinet in the kitchen, once in an Addison Mizner house that was torn down. The results show off with spare drama what Whittlef calls the dialogue between modern cool and antique character. “The object that has patina and history to it is given context by the space that’s around it,” he says. That mix, artfully done, is part of the language of collected chic—a look that is as timeless as it is personal to the individuals who live in the home. It’s the culmination of eclecticism, boho style, comfort, and self-expression. But it’s far from effortless to achieve without expert help. Designers want to get to know their clients to better create personalized spaces that feel like home. “My job as a designer is to interpret [a client’s] essence—the good, the bad, and everything in between. I’m interested in the people as part of the design, not just the design,” says Carter Averbeck, owner of Omforme Design. For her, he’s turned the dining room of her Kenwood home into a library, lacquered amethyst purple and furnished with an art deco rug, deep chartreuse custom-made sofas, and lots of gold accents. For the living room, he found a pair of curved midcentury sofas and reupholstered them in a deep, blood red—her favorite color. “The home shows you can use color and have a sophisticated look,” he says. For a recent project, a new home in Edina built by Refined Custom Homes, Voss’ client wanted a collected aesthetic: She loves the mix of new and old, high and low. Voss obliged with a colorful, eclectic design. The grand staircase, all classic woodwork and paneling, is painted in an unexpected high gloss. 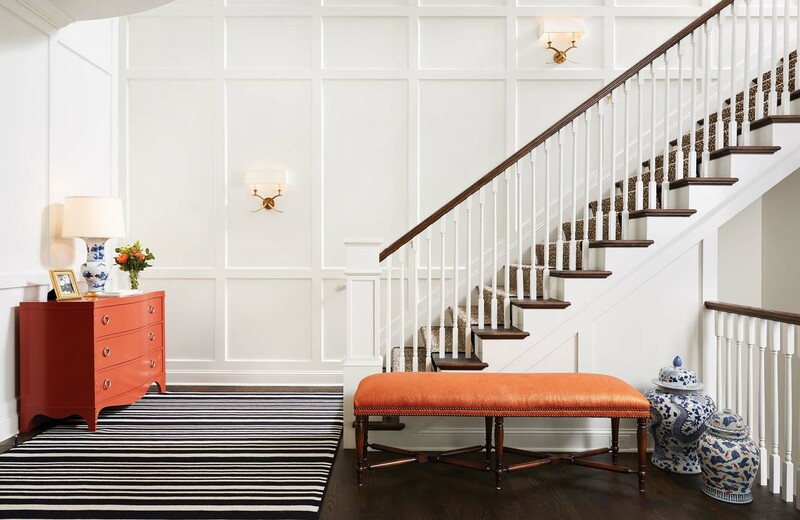 That and the classic Stark leopard runner, the black-and-white Missoni rug, and the bright orange lacquered chest in the entry announce that this home belongs to a fun and fearless homeowner. Rooms that feel collected over time, artfully mixing new, vintage, and antique (usually defined as at least 100-years-old) items requires a good eye and ruthless editing, says designer Alecia Stevens. 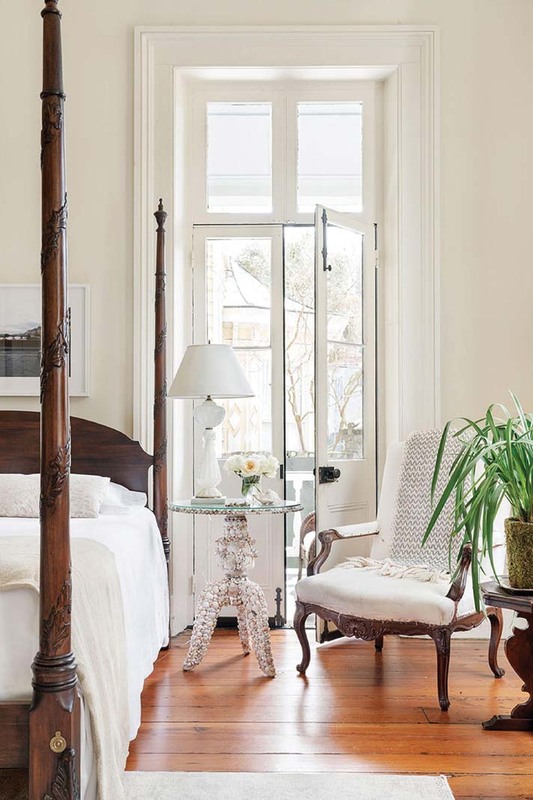 When a room is well edited and allows them space to reveal their unique character, “antiques become almost like a piece of sculpture in a room,” she says. Stevens, whose eponymous design firm was, until recently, based in Minneapolis, is now happily ensconced in Charleston, South Carolina. “I live in the mecca for antiques in the U.S.,” she says. “It’s really easy to do from here, but harder in other places. The Midwest is not known for antiques.” That said, H&B Gallery in Minneapolis is a great resource for fine antiques, she adds. And vintage pieces, circa the ’30s, ’40s, and midcentury on, abound. Her own home in Charleston and beach house in Folly Beach, both filled with antiques and vintage pieces, demonstrate her collected chic. She lets the architecture speak by using the same light neutral paint on walls and woodwork, and then adds contrast with rich, dark wood antiques. “Just wood antiques gets boring,” she cautions. “Remember to use other materials.” She mixed it up in the bedroom with a bedside table made of shells, an antique Murano glass lamp, a crystal chandelier, and an old Swedish-primitive writing desk. Stevens loves to bring antique and vintage into any home, old or new. They offer contrast, the sought-after tension that makes for an intriguing—not just a pretty—room. “It’s really the only way to get the one-of-a-kind pieces that will make your home unique,” she says. It may be that you possess no heirlooms passed down from your grandmother. And you’re doubtful you own any worthy collectibles either. You can start prowling antiques shops or just look around your own home. “When we ask clients if they have any art or collections, they usually say no,” says Sandy LaMendola of Twist Interior Design. They want the ambiance and rich texture of collected chic, but they have no starting point, she says. And when designers try to create it for them, it can feel like artifice. 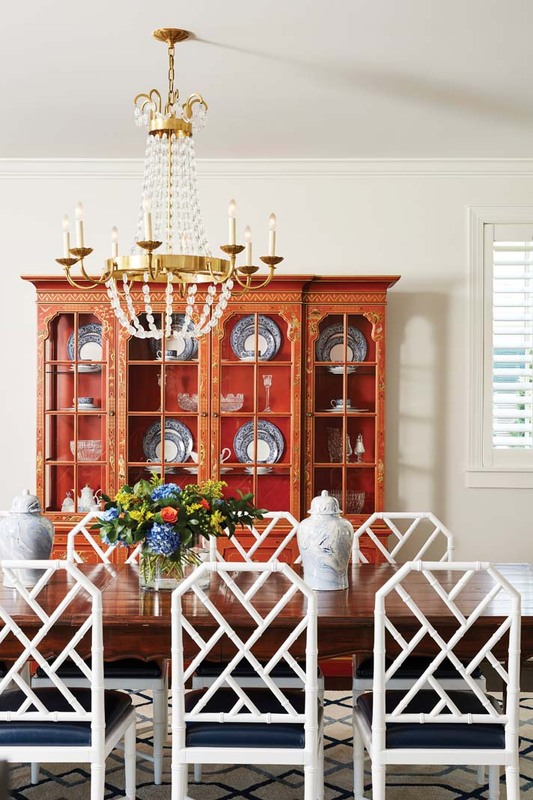 LaMendola framed an intriguing assortment of vintage and found items in the home she shares with husband Charlie Simmons of Charlie & Co. Design. These collections make their home uniquely theirs, from the Chinese peasant bag in the dining room to the vintage cigarette-rolling-paper graphics on the walls of the powder room to the gallery of portraits, landscapes, and personal artifacts in their basement pub. Brooke Voss has framed items as diverse as a bikini—the homeowner’s first, sent to her when she was a little girl from her grandparents in Hawaii—and a paint-splattered American flag once flown every day by a grandfather. “I love framing objects, things you wouldn’t typically consider as art at all,” she says. She’s currently framing a client’s collection of silk scarves, some her mother’s and grandmother’s, to hang in her dressing room. “It’s all about the little treasures too special to be tucked away in a box somewhere,” Voss says. Better to make those keepsakes something you can appreciate every day.